Indians Baseball Cards: A bunch of packs from Workman! When I got home from work today, there was a box waiting for me in the mailbox. I opened it up, and there were a bunch of packs courtesy of Workman! These are great! 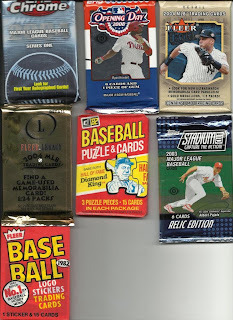 Several Hobby packs in the group, so maybe we'll finally pull something very sweet out of the big ol' box of packs. Thank you so much, Workman! 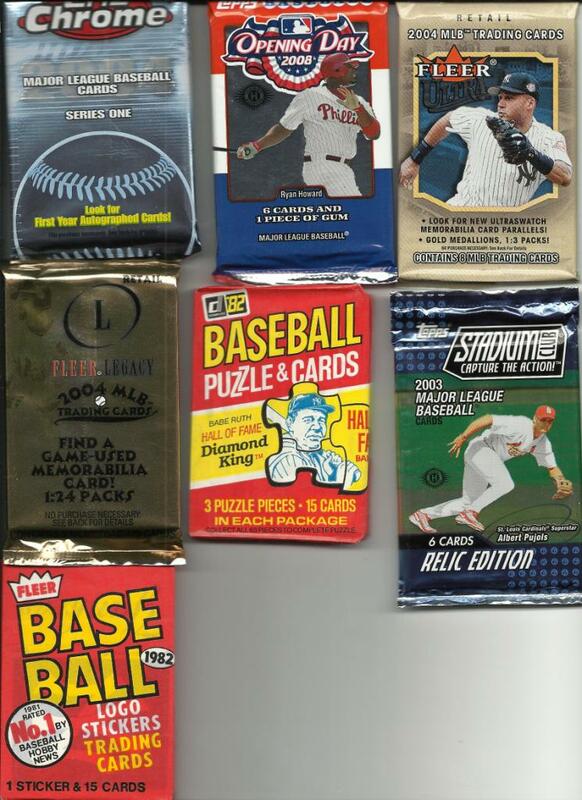 I appreciate your generosity, and I know the managers who score cards from these packs will also appreciate them and certainly enjoy the fruits of your gift. I am definitely breaking open one of the Hobby packs tonight! That'll be up later. Wow, two possible Ripken rookies in that batch. Good thing I drafted Ripken! Glad the packs arrived okay... can't wait to see some of these cards! I don't even know the last time I ripped '82 Fleer. Probably in '82!